Recording the screen in Linux OS is always a tedious task, as either the video/audio malfunctions or support may not be there. 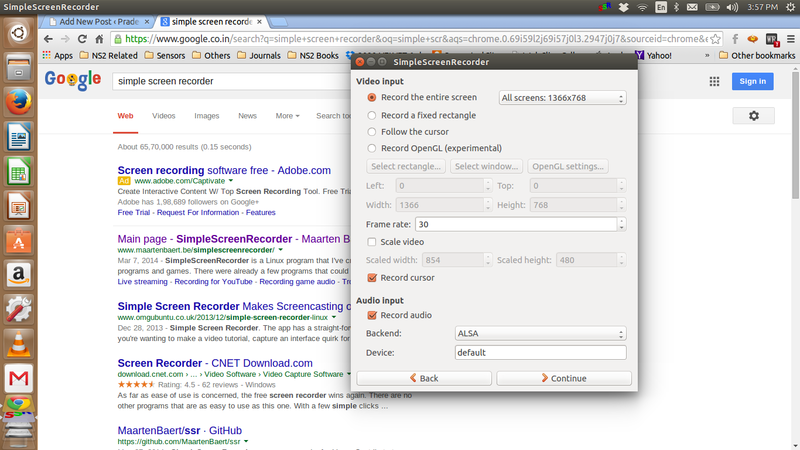 There is a tools called simple screen recorder for Linux. This software has a straight forward interface and its incomparable to other softwares in the market. It never takes more amount of RAM like VLC do. Its multithreaded, if you have more than one core, then the processing happens at all the cores. it can do live streaming also, but it is under experimental setting. it supports many different codecs. Here is the simple screenshot. A 42 minute video is recorded using this software and it takes just 42minute only. no extra time for processing. Please see the youtube video attached below.